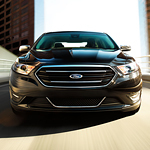 At Arroway Ford, we’re always excited to show off the interior features of the Ford Taurus. A number of available features will keep you comfortable and impress. You can take the popular full-size sedan for a test drive in Bedford Hills to see it all for yourself. 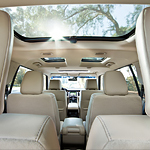 Are you considering the Ford Explorer as your next SUV? 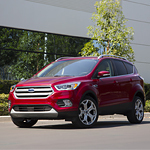 At Arroway Ford in Bedford Hills, our consumers like this three-row SUV because it is versatile and comes with a number of performance features. Let's check out a couple of its performance features below. Designed with high-tech connectivity in mind, the 2019 Ford Edge is a crossover SUV with a sophisticated cockpit and stylish design. You can test drive the SEL, Titanium and other editions at Arroway Ford. The 2019 Ford Edge boasts a cutting-edge infotainment system that operates on the next-generation SYNC 3 technology. You have great access to several smartphone-friendly portals in this advanced multimedia console. For example, Apple CarPlay is ready to accept data from compatible iPhones. You can also transfer data from an Android device to Android Auto. 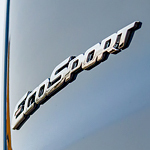 When Bedford Hills drivers are searching for a new compact SUV, they need look no further than the Ford EcoSport. This fantastic vehicle is packed full of capability features that allow it to handle just about anything that life throws at it. 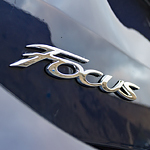 The Ford Focus is one of our favorite vehicles in Arroway Ford lot. One of the reasons is that there are different editions of this vehicle with each having its own set of features. When looking at the features of the different 2018 Ford Focus editions, you are going to be excited about what each has to offer. Now that the new Ford C-Max is available at Arroway Ford, we wanted to take a minute and talk about why this compact hybrid has exploded in popularity this year. 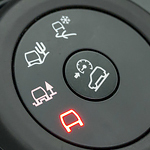 These two smart features show why motorists are excited to own this year’s Ford C-Max. 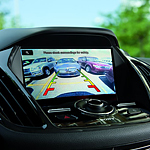 Shift the Ford C-Max into reverse, this is how you activate the rear back-up camera system. Once the center console screen switches to the camera monitor, the driver can easily see everything both stationary and moving that might be in their path as they continue to drive the vehicle backwards. In 2019, Ford will launch its new Ford Co-Pilot360 with its SUV, trucks, and cars. 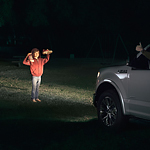 The Ford Co-Pilot360 is an innovative package of driver-assist technologies that offer drivers and passengers exceptional protection. Our team at Arroway Ford always take the time to research our models carefully so that we can give our Bedford Hills consumers an understanding of what our vehicles have to offer. You can find out more about the Ford Co-Pilot360 below.